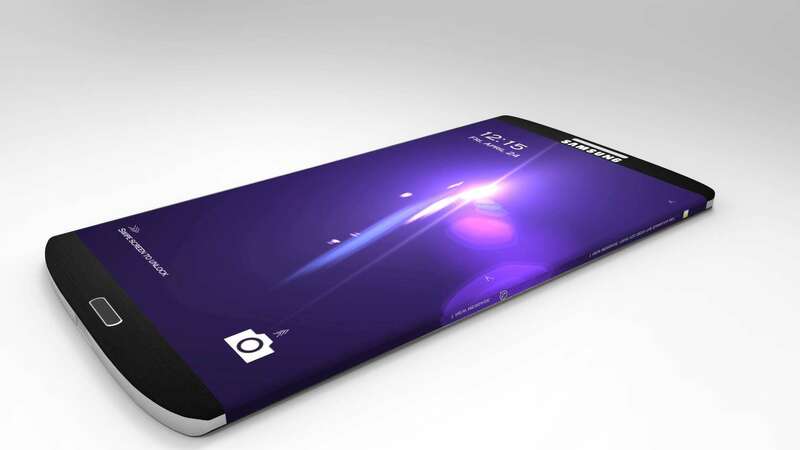 Why are you crazily dreaming about the 2015 new phone Samsung Galaxy S6? Attracted by its expected 4K screen, wireless charging technology, or flashy accessories? Provided that you have got Samsung Galaxy S6, what are you going to do with it? If you just get it in you pocket, waiting for calls, you'd be absolutely wrong for your dear Samsung Galaxy S6 can do far more than that. Samsung Galaxy S6 helps you survive a long-haul flight for watching movies or TV shows is ideal for killing boring time. If you prefer a money free weekend, watching sitcom on your device is a fantastic thing to do during indoor hours. Complaining of being exhausted? How about watching some funny video clips to tackle life's energy zappers? However, you ought to know that Samsung Galaxy supported video format is limited, say, MP4, AVI, MKV. What's more, Samsung Galaxy S6 even can not play some MP4 format videos because of specification issues of audio and video codec. So, another super helper, Samsung Galaxy S6 video converter is badly needed to deal with video compatibility issues for you. What can You Benefit from a Powerful Video Converter for Samsung Galaxy S6 ? 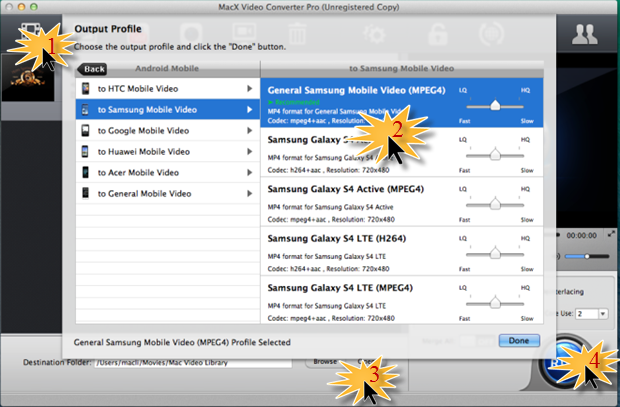 The cutting-edge Samsung Galaxy S6 video converter, MacX Video Converter Pro breathes new life into your gadget by converting any videos, including HD videos to Samsung Galaxy S6 without video quality loss in a fast processing speed while other regular video converters make you sacrifice video quality during the conversion process and may get stuck halfway. Besides, its built-in YouTube downloader offers you a hassle-free way to download and convert videos on YouTube to Samsung Galaxy S6 for offline playback, saving you a lot trouble as well as money. With simple and responsive interface, just four steps are needed to get videos to Samsung Galaxy S6 conversion process done. Step 1: Import source video. Download and run this powerful Samsung Galaxy S6 video converter. Import source video by clicking the "Add File" button. Step 2: Choose "to Android" and you can see some specific output format. Select the right output video format for Samsung Galaxy S6. Step 3: Select the output folder you want to save the output video by clicking "Browse" button. Step 4: Hit the "RUN" button to start video to Samsung Galaxy S6 conversion. Note: The best video converter for Samsung Galaxy S6 has great video editing features for you to clip videos, crop video frame size, merge video clips, add subtitle and watermark. Apart from converting MKV, AVI, FLV to MP4 for Samsung Galaxy S6 on Mac, you are also allowed to convert any video to Samsung Galaxy S9/S8/S7/A5/S5/S5 Mini, Galaxy Note 9/8/7, Samsung Galaxy Tab S, iPhone X/8, iPad Air 2, and other Android, Apple devices.This advanced video converter for Samsung Galaxy S6 also works as a photo slideshow maker that enables you to create slideshow from your photo collections in a few clicks. And you are free to record video clips and upload to YouTube or Facebook with this best-ever Samsung Galaxy S6 video converter software.